We offer various products for treating parasites that come in the form of injections, tablets and spot on. Your pet can pick up fleas from other animals and their environment; flea eggs may be present in your home. These can remain dormant for many months before hatching and continuing their cycle. You need to treat both your pet and your home otherwise the cycle will just continue. Fleas will bite dogs, cats and humans! 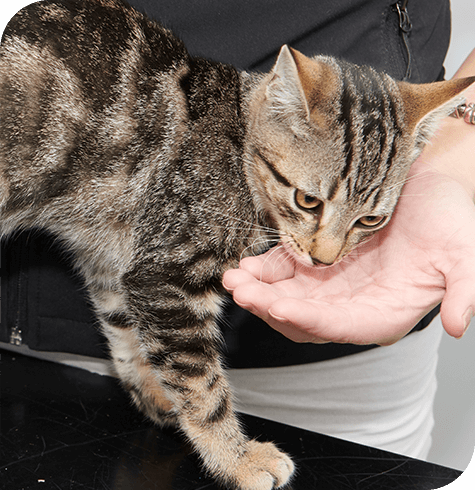 Some pets can become sensitised to the bites and develop itchy, uncomfortable skin conditions. These insects are common in woodland and grassland; they are most likely to be found in areas with sheep and deer. It is important to rid your pet of ticks as they can carry Lyme disease which also affects humans. These are several types of lice which can be found on both dogs and cats. Lice are parasites that live on the skin, if they are left untreated they can grow to be an infestation on the animal’s body. Some mites will burrow under the skin causing a highly irritating skin condition called mange. Other surface mites can cause itchy skin in your pets and scabies in humans. Ear mites can also affect your pet causing scratching, shaking or rubbing of the head.